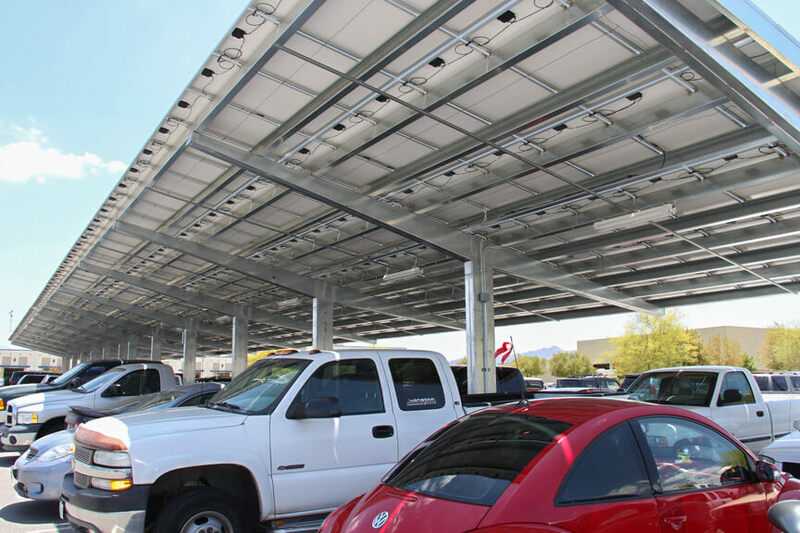 Baja Carports Solar Support Systems™ can be Customized into Hundreds of Solutions! 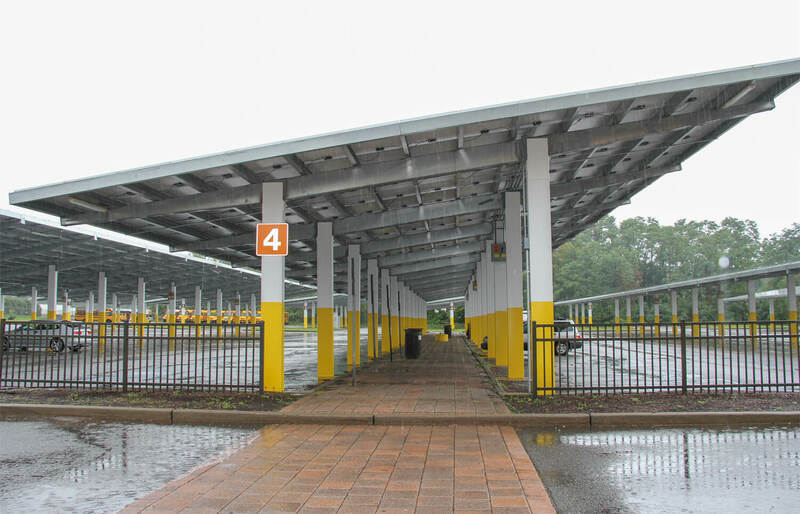 Dozens of Solar Carport Configurations. 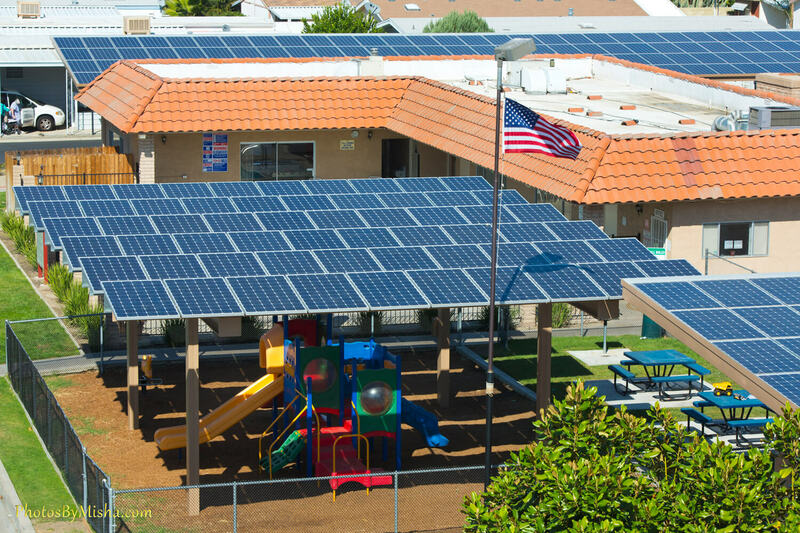 Hundreds of Solutions! 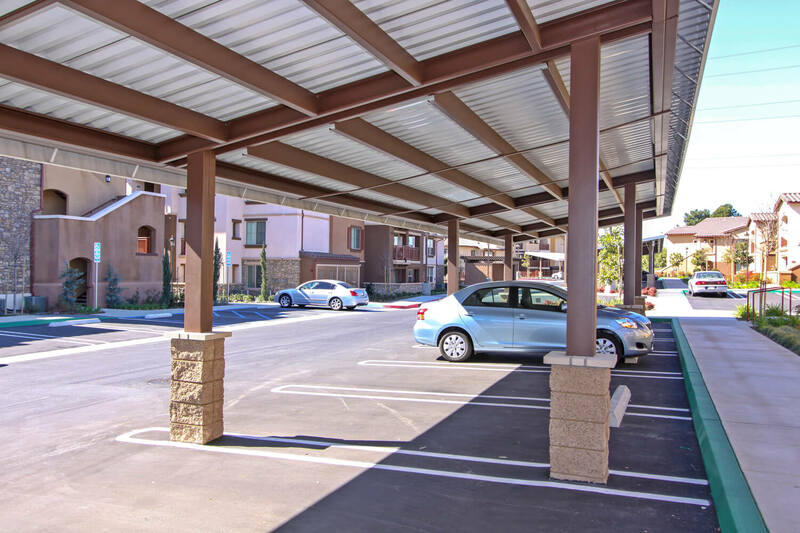 Baja pre-fabricated, pre-galvanized steel structure configurations are often paired together for maximum coverage, production, and aesthetics. 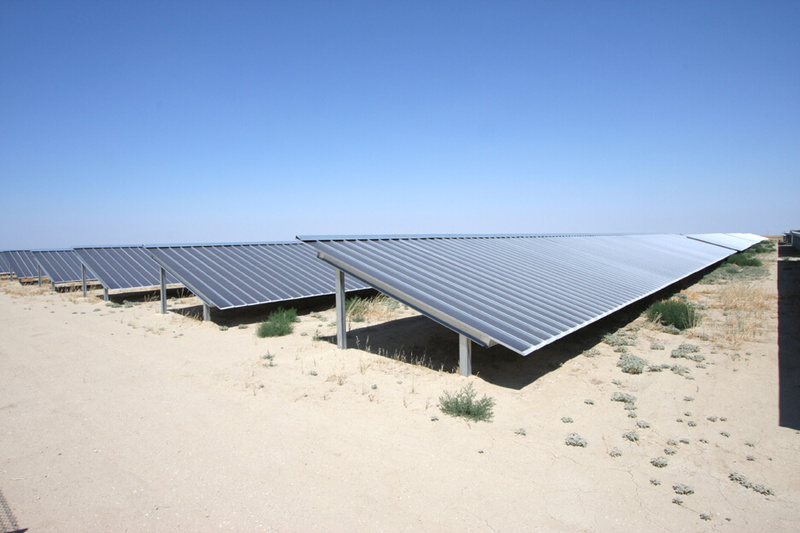 Power generated performance is based on module choice, orientation, layout, and location. 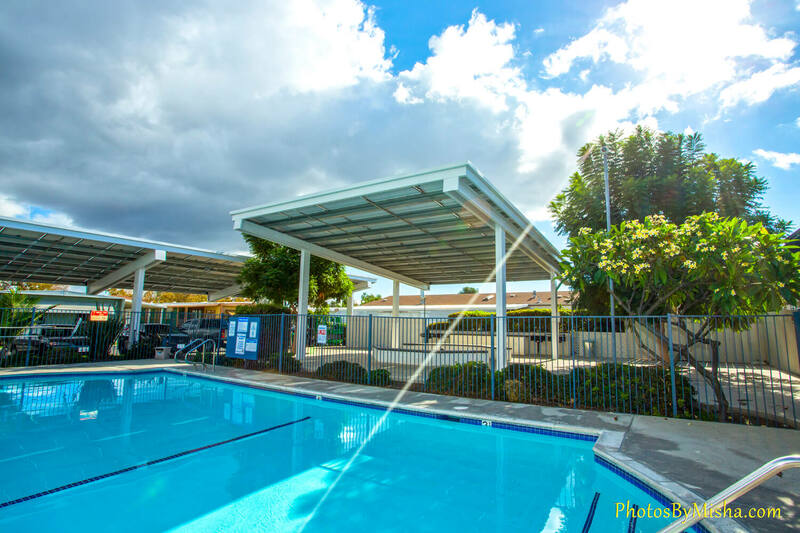 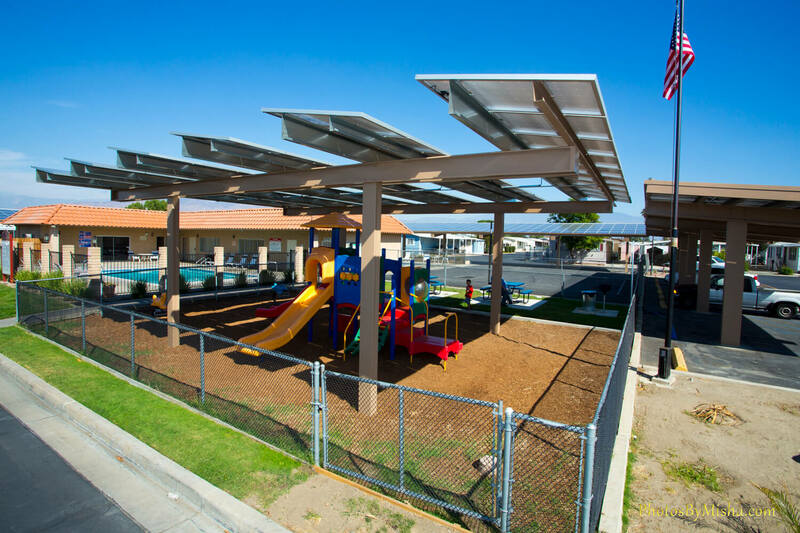 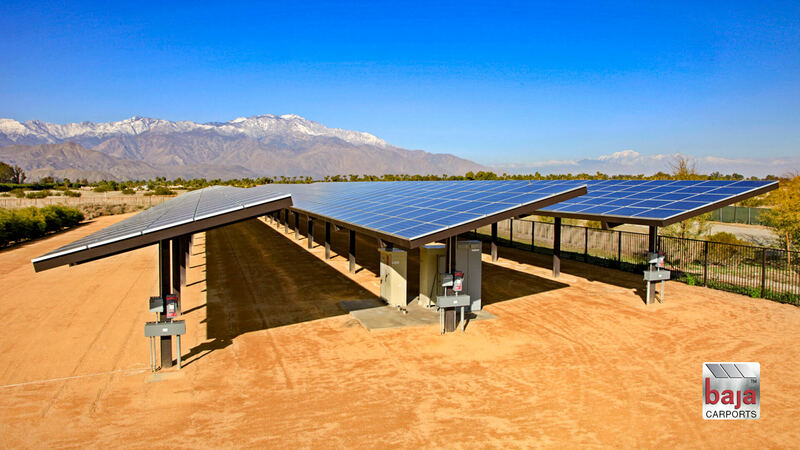 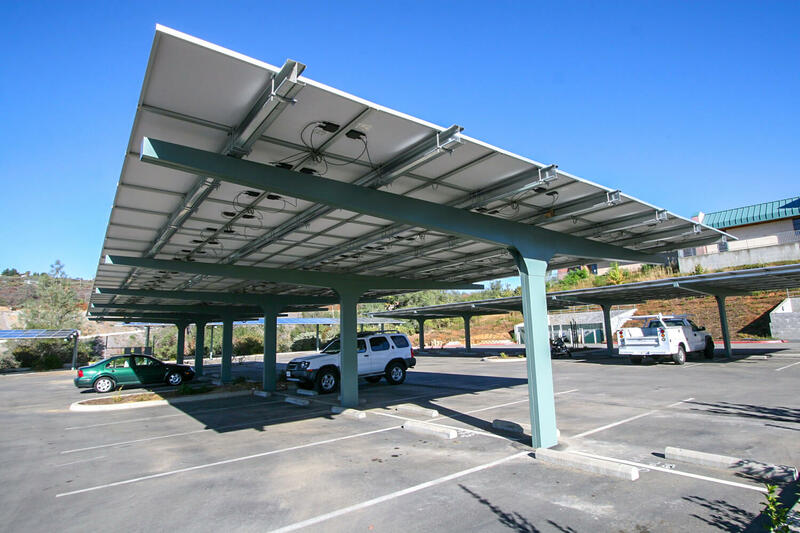 Baja Construction can accommodate proposed PV layout(s), improving integration and implementation of Baja Carports Solar Support System™ to canopy structures. 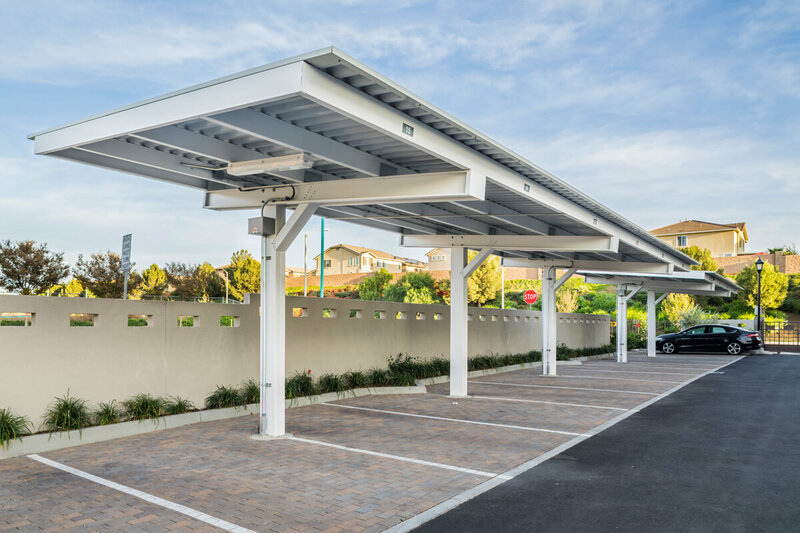 All configurations allow for customer-specified design requirements such as eve height, array tilt angle and purlin spacing based on module dimensions, and facilitate both portrait and landscape module layouts. 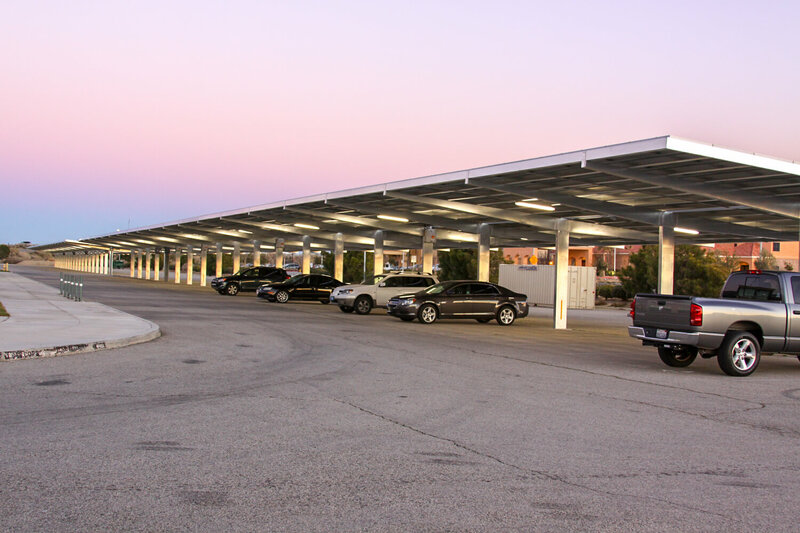 2018 installation winner: Baja Carports. 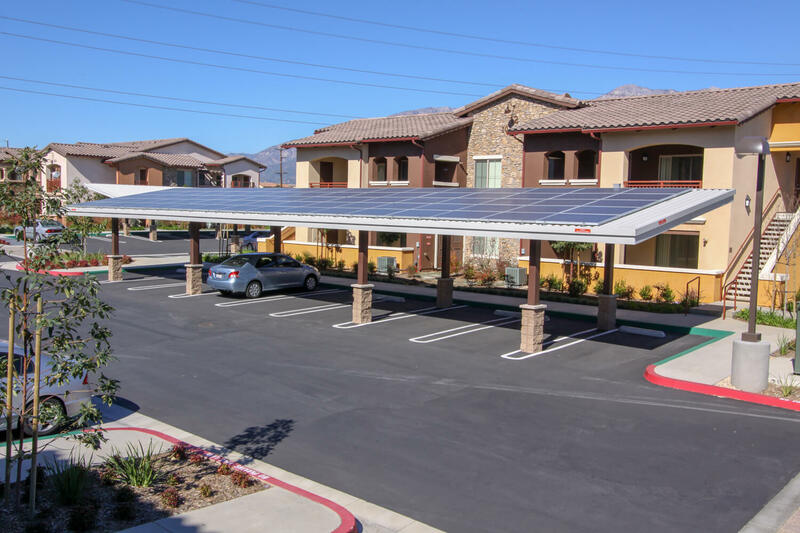 Voted by Solar Power World user community; SPW released its seventh annual Leadership in Solar Program winners this past January 2019. 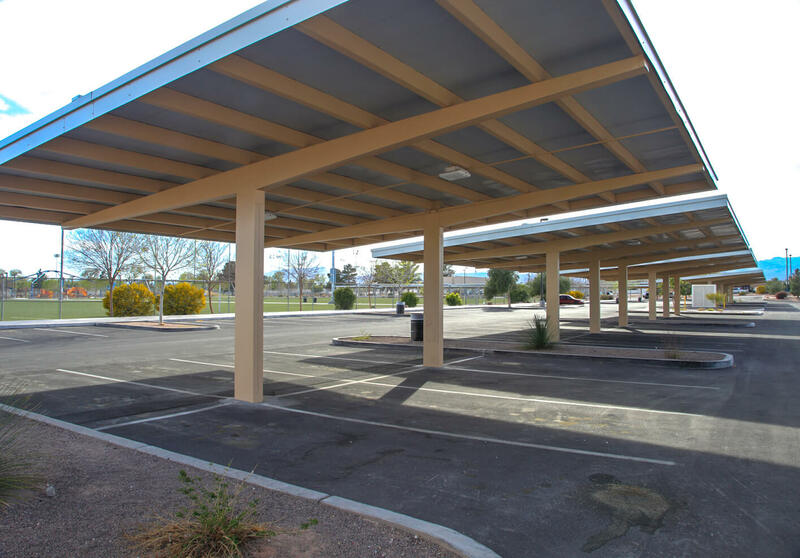 Baja Carports’ in-house design engineers and project managers place emphasis on the proposed site’s layout first; “fact-checking” the property for its canopy feasibility. 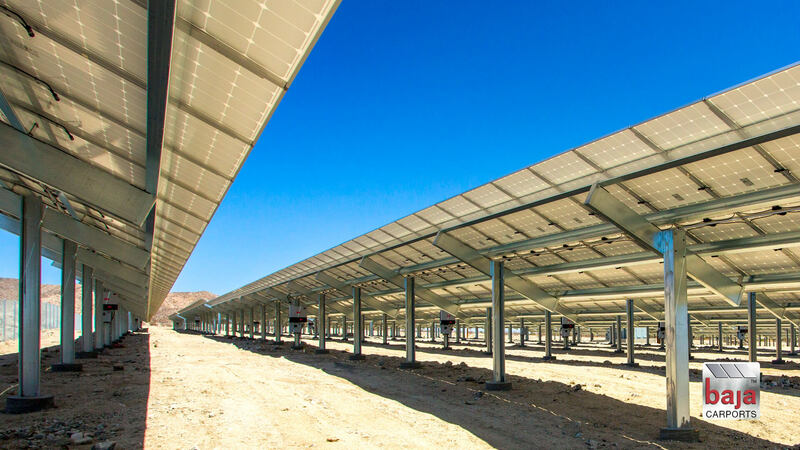 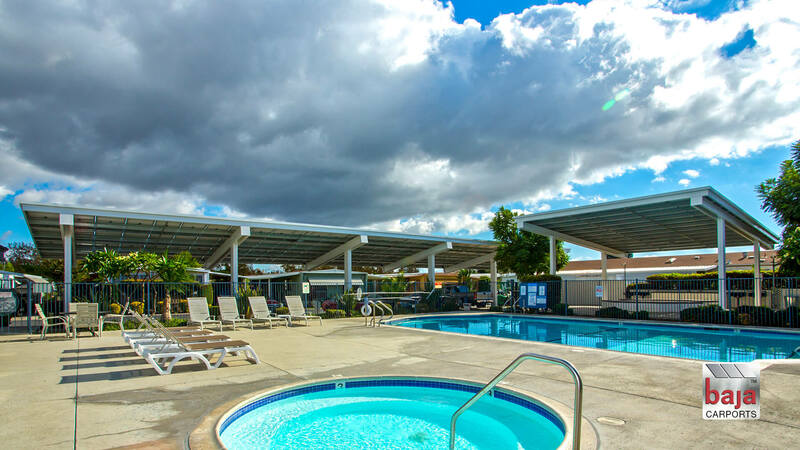 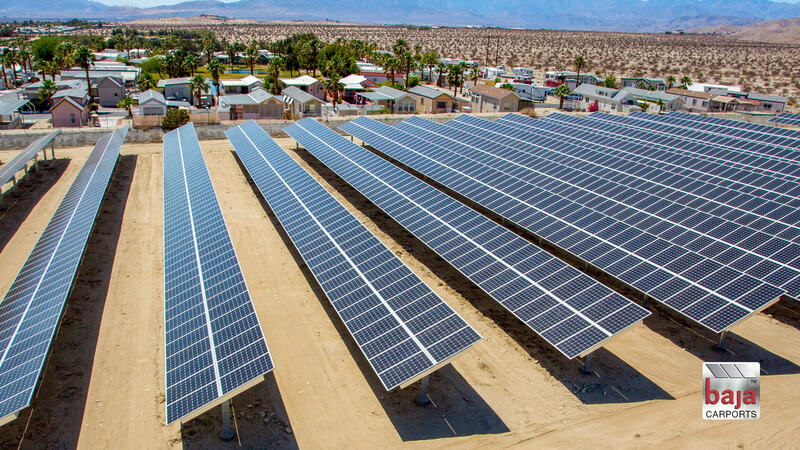 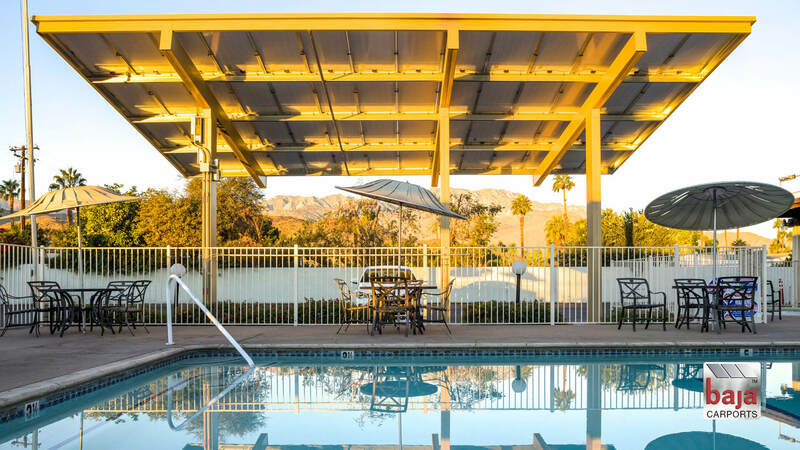 Following our best practices allows Baja to value engineer the solar support system configuration to best perform for the property and its owner, while also being economically efficient. 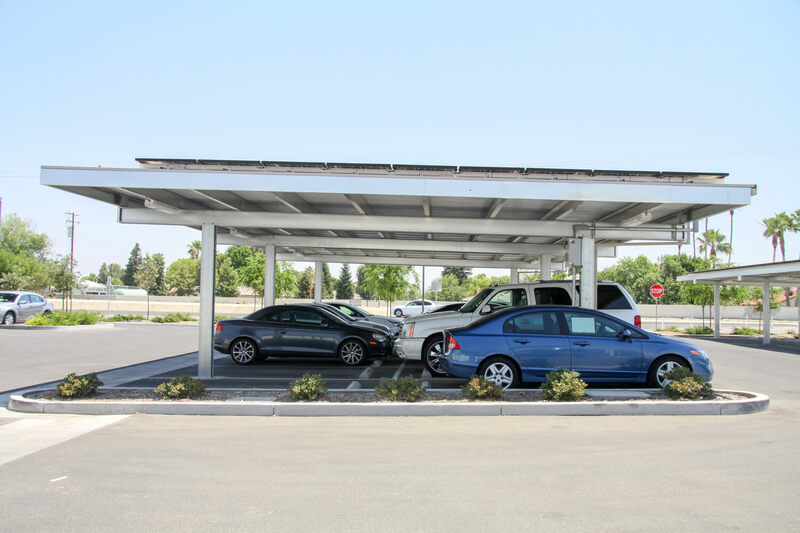 A credible and experienced installer will tell you that no two parking lot properties are the same! 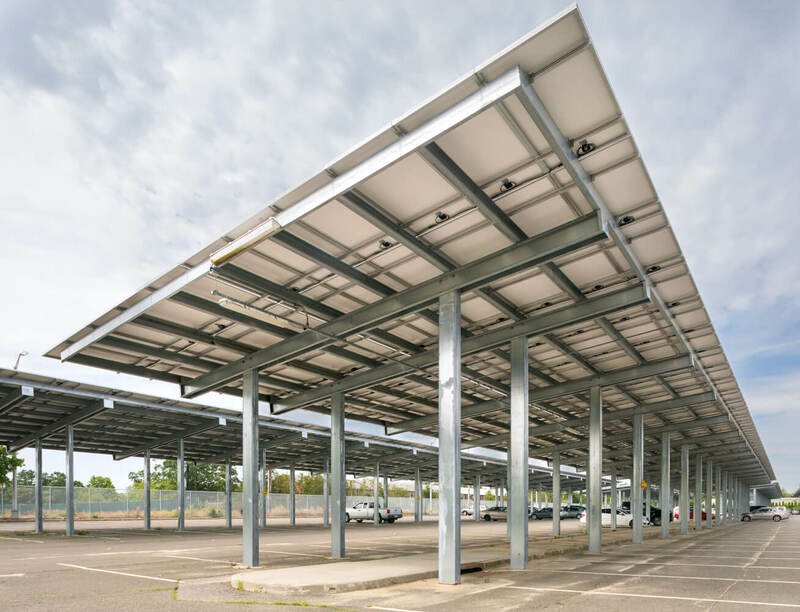 To achieve optimal coverage and PV production, the project’s entire installation must be site-specific. 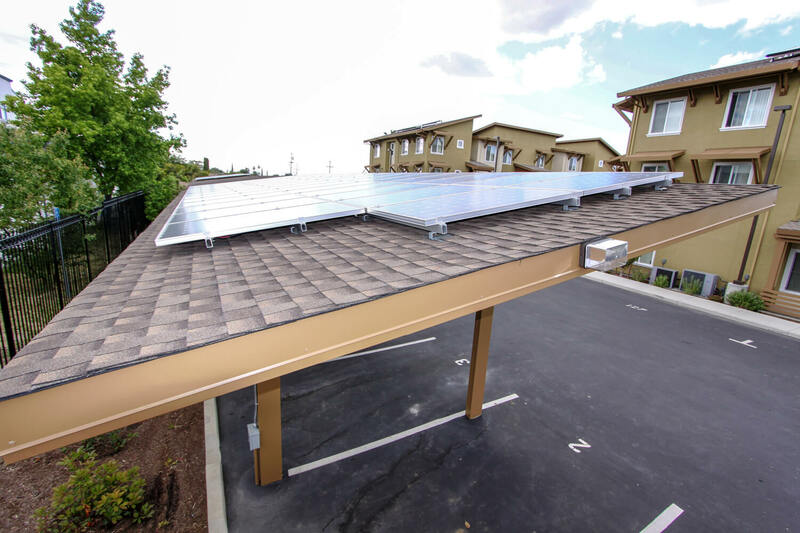 An installer who sees the project as being boilerplate is one to pass on. 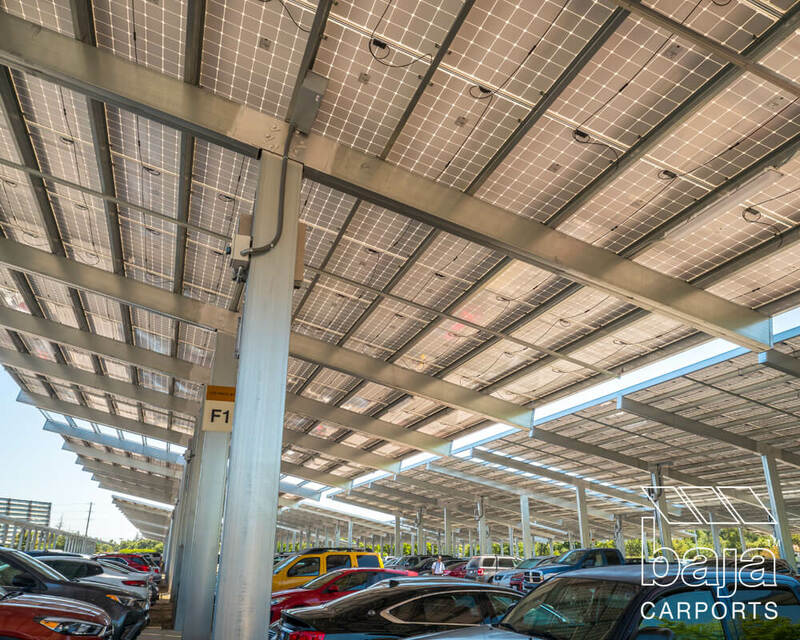 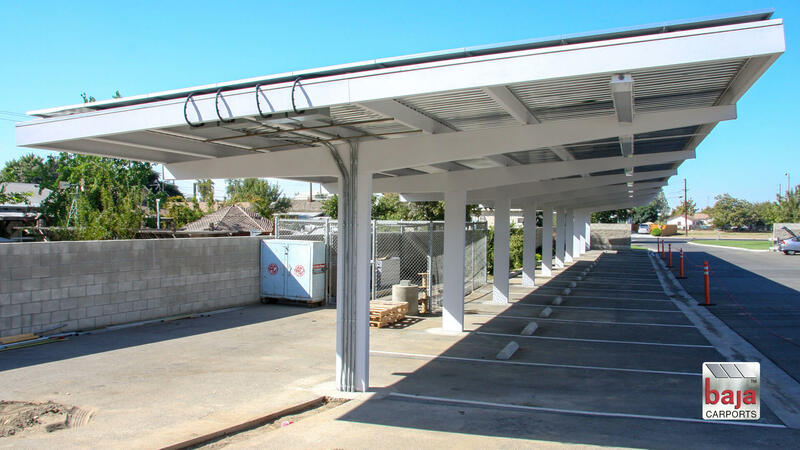 At Baja Carports, we produce dozens of custom site-specific solar carport configurations that offer hundreds of solutions for a wide range of spaces and facilities for commercial businesses, community-based organizations and property developers. 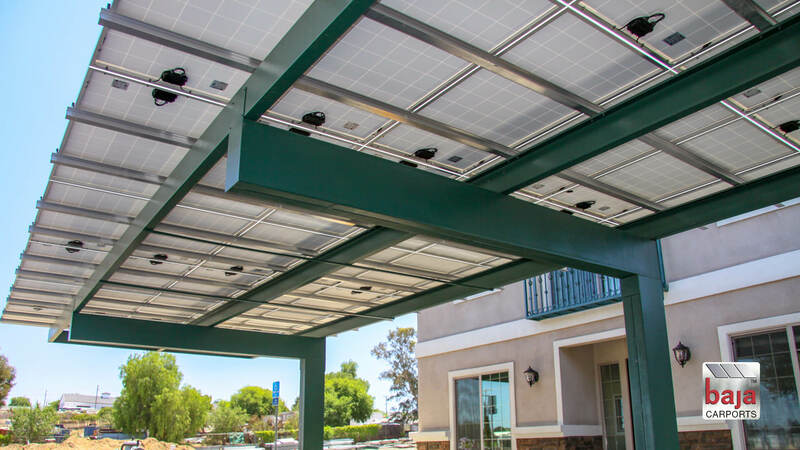 We’re a nationwide installer, so no matter where your location is, we can supply, deliver and install. 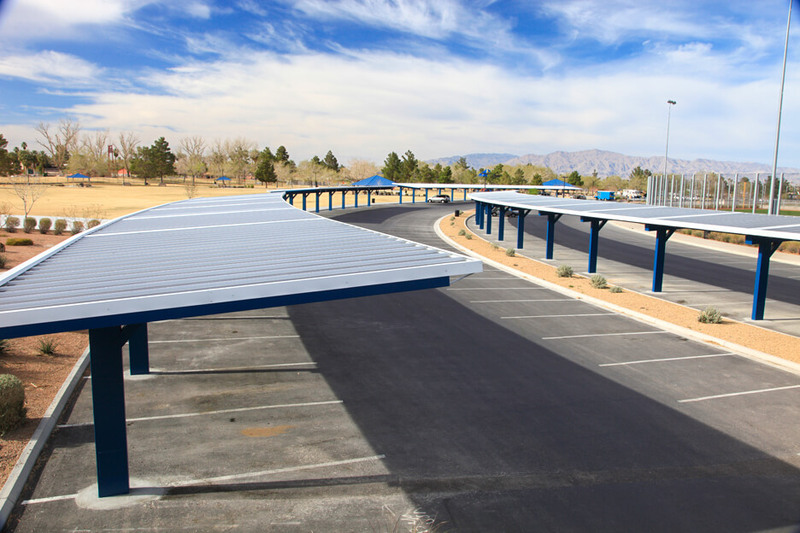 If you’re searching for a solar carport configuration to withstand adverse and extreme weather conditions, Baja carport structures can meet live loads to 60 psf and wind speeds to 160 mph. 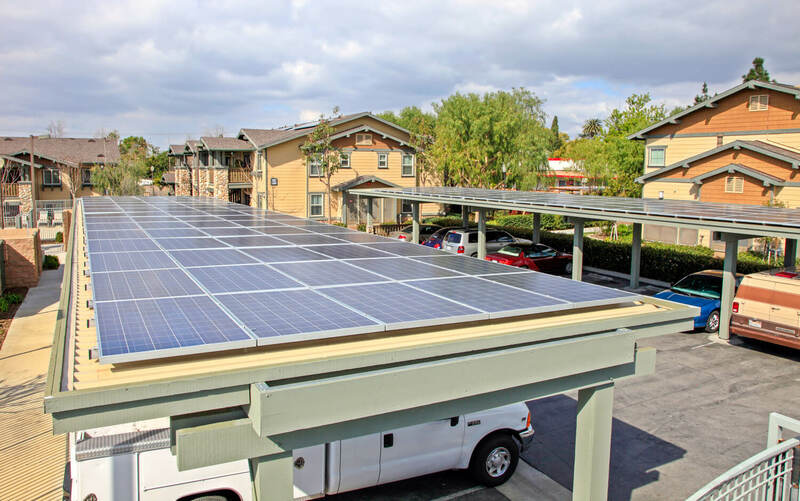 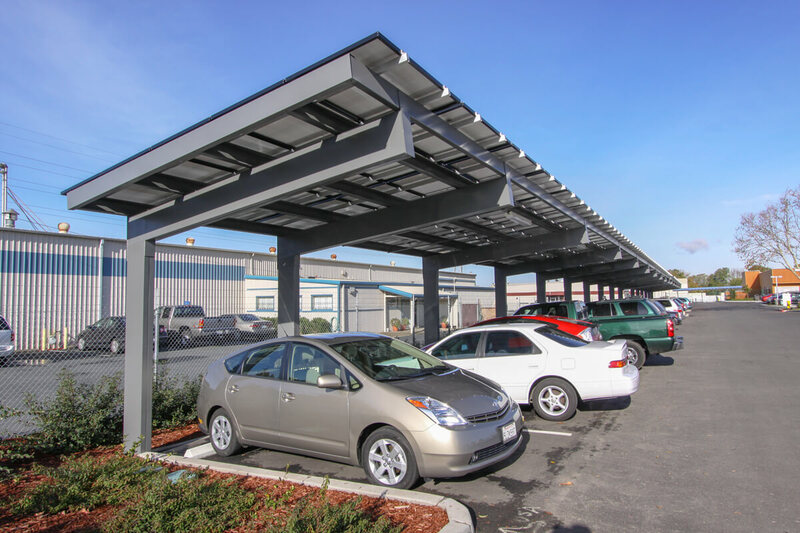 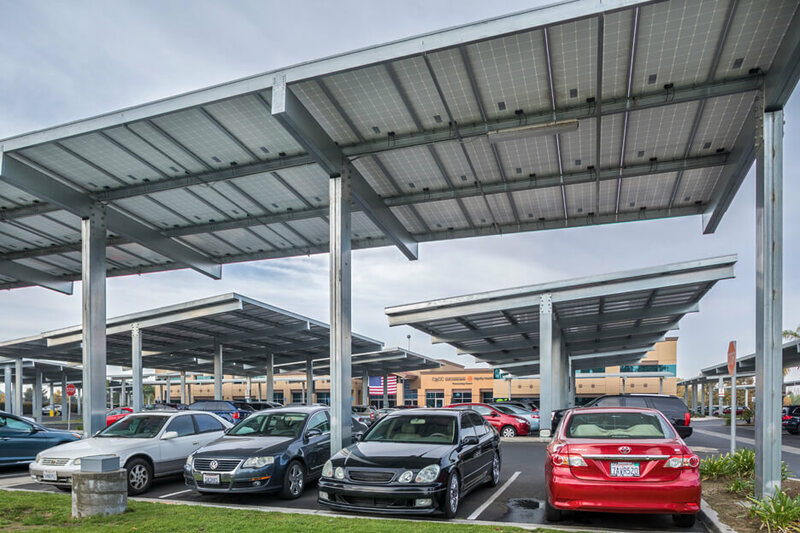 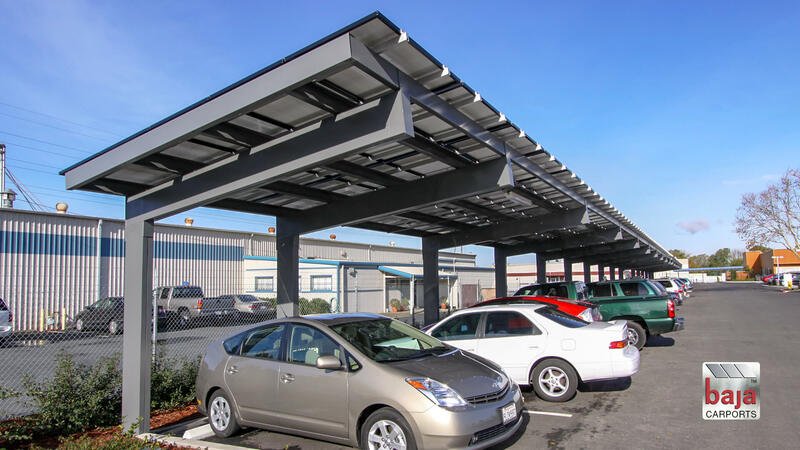 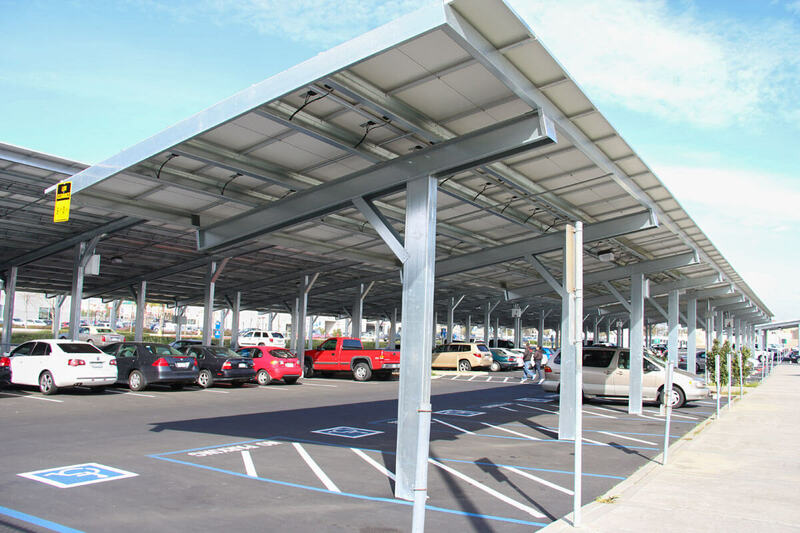 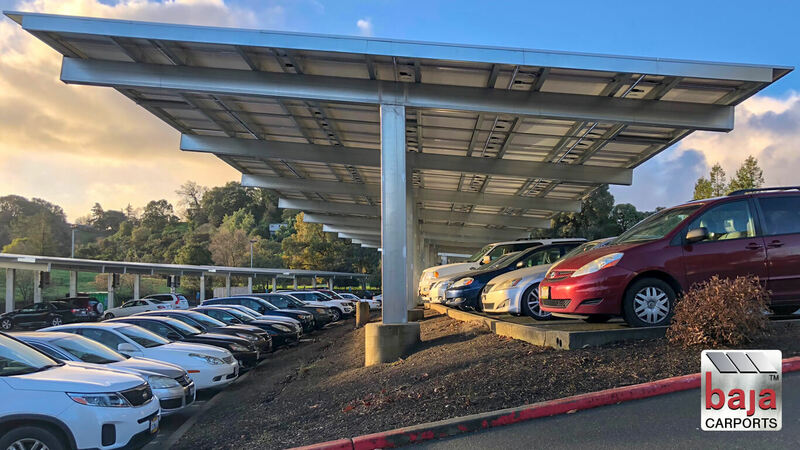 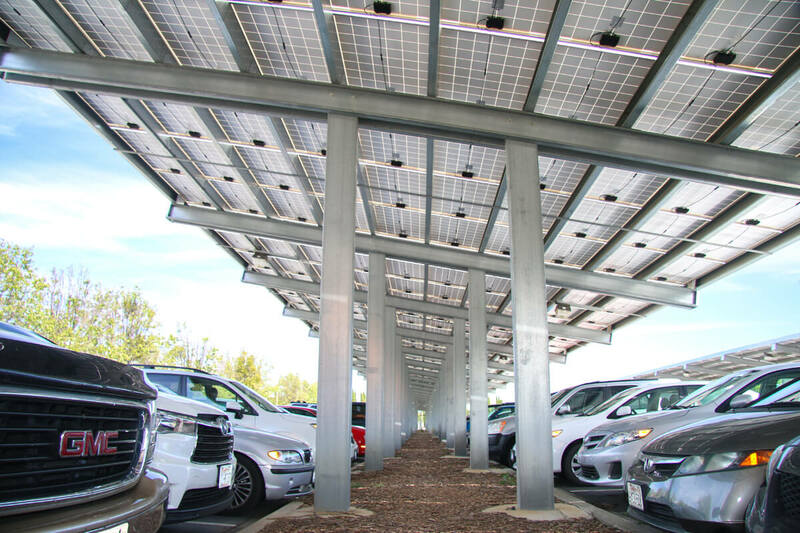 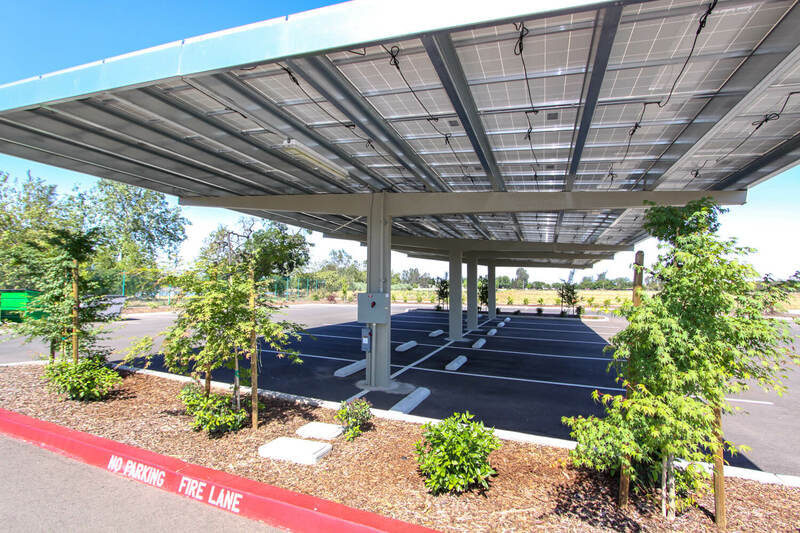 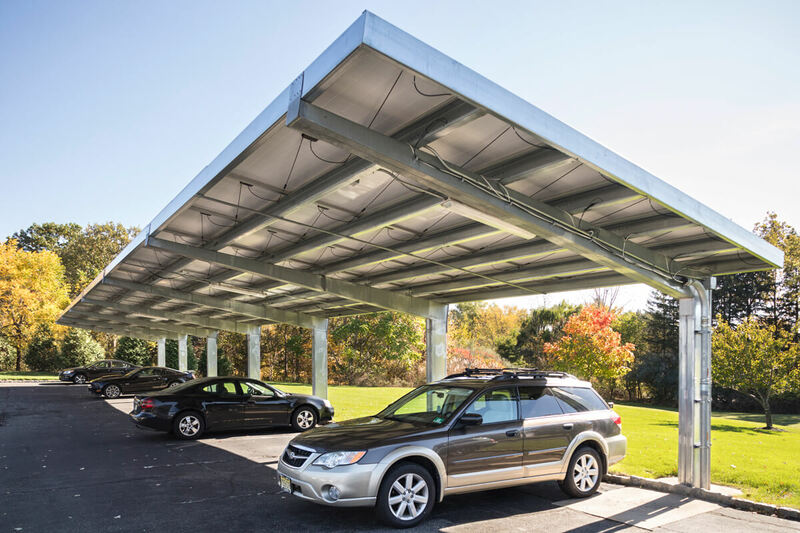 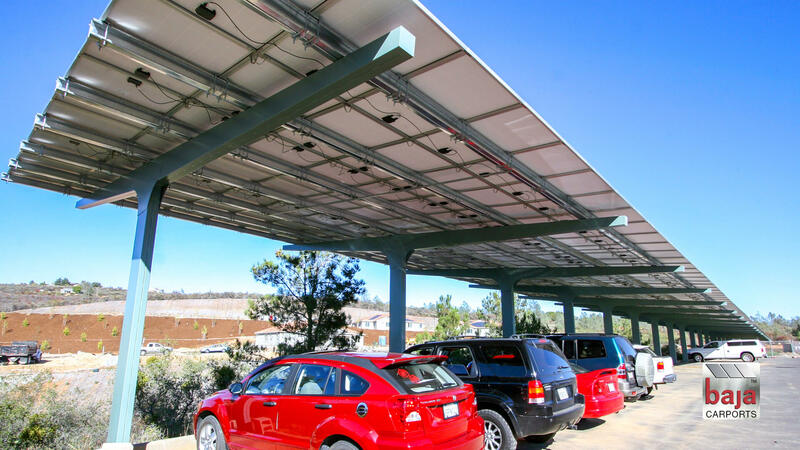 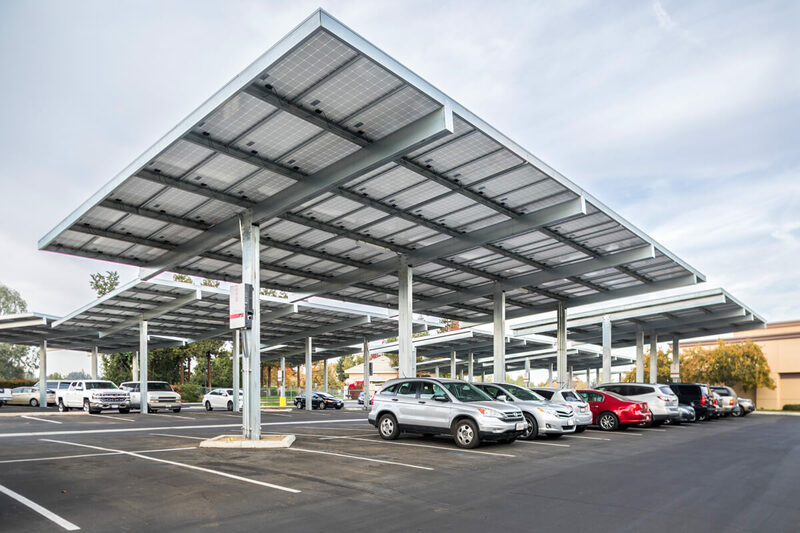 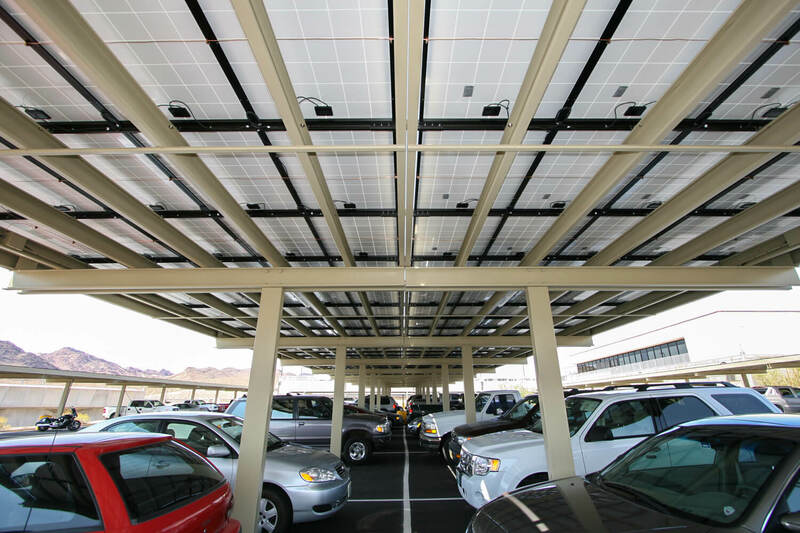 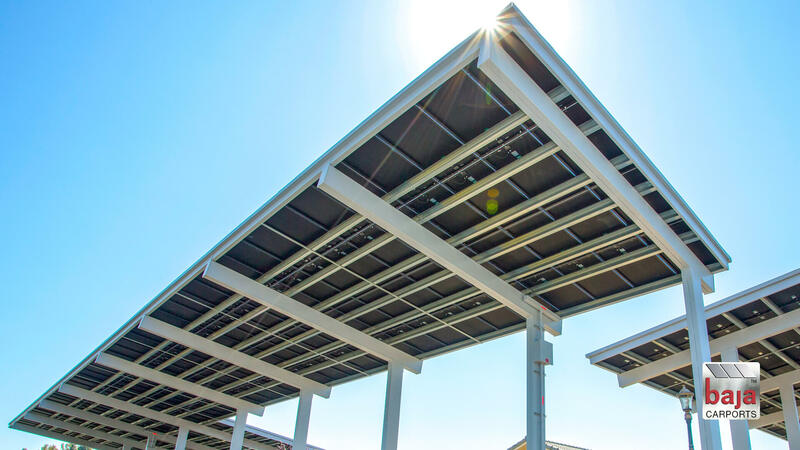 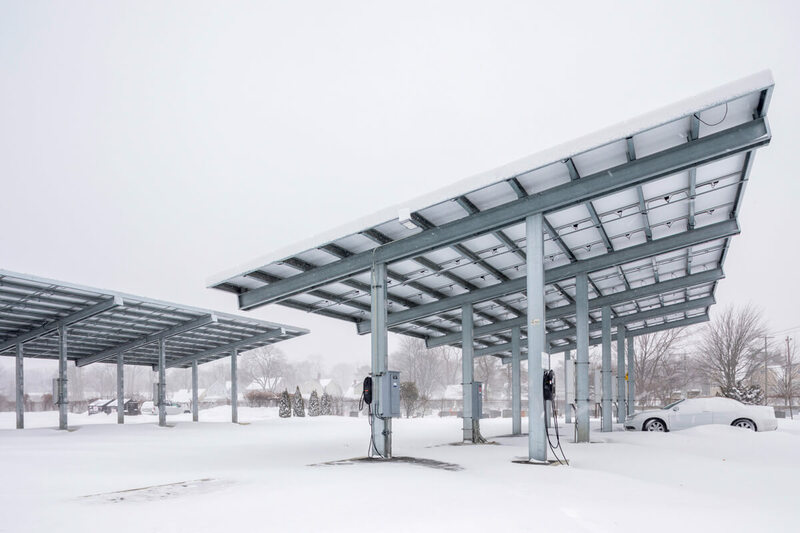 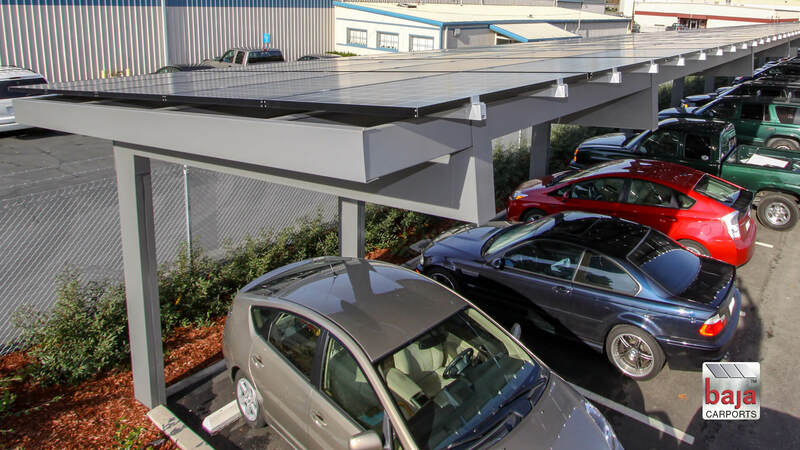 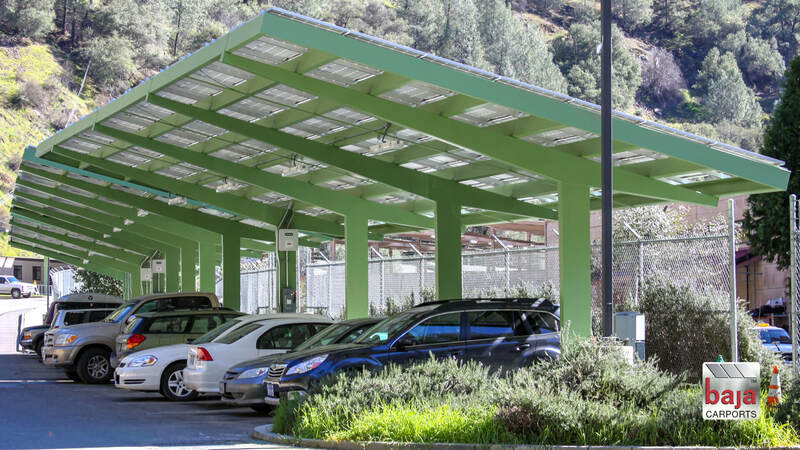 We’re confident our in-house design engineers can produce a solar carport racking system that meets your criteria, your city’s jurisdiction building codes and seismic zones, while improving upon the overall layout of your parking lot. 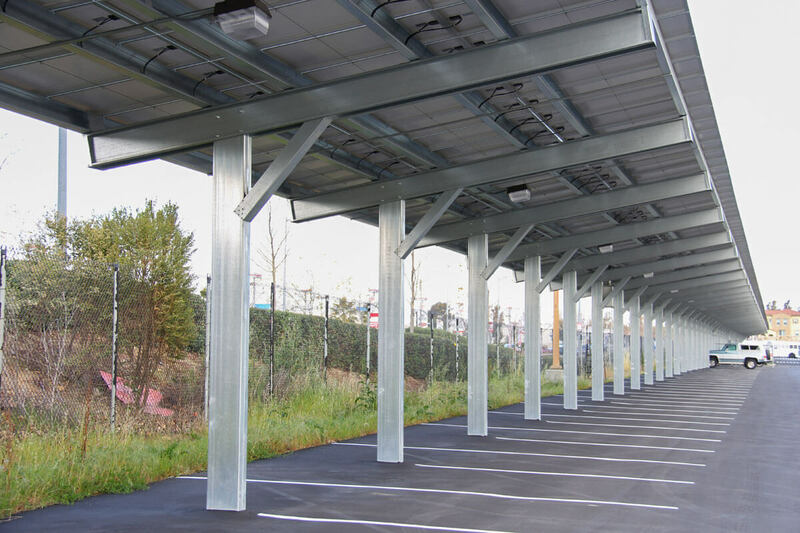 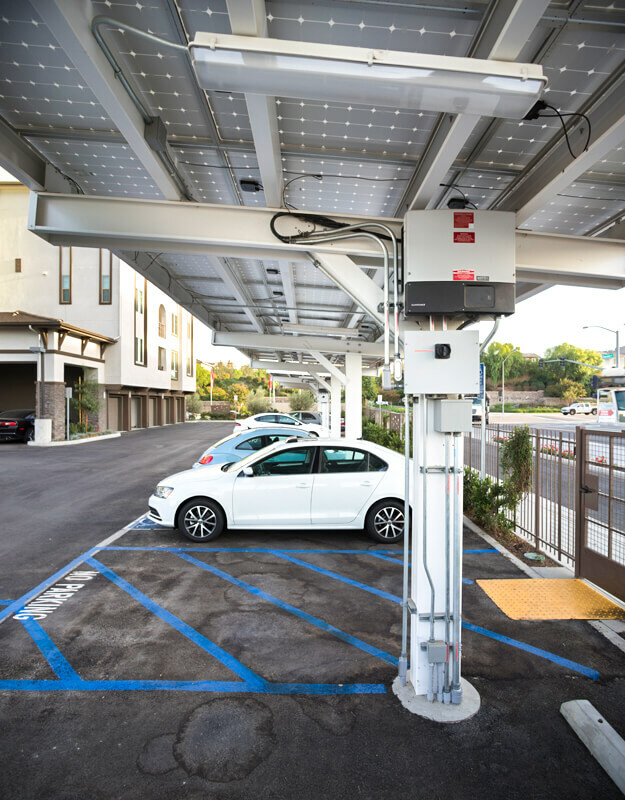 Whether you have a narrow parking lot, your parking spaces are contained by a wall on one side, or you have an open lot, or the area is sloped, Baja’s team can work with you to identify the best solar racking system that meets your goals for PV production. 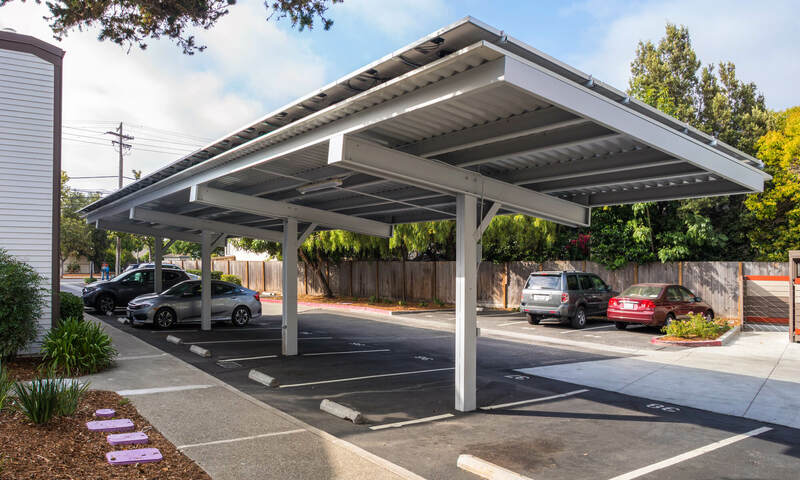 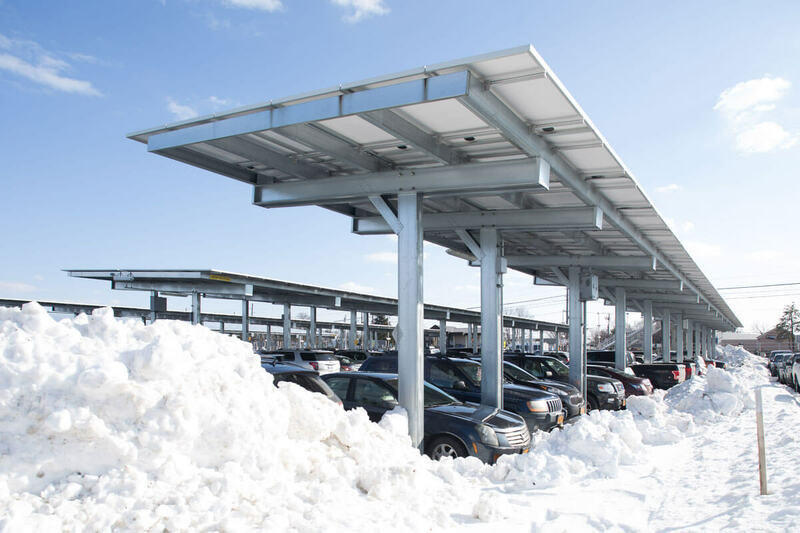 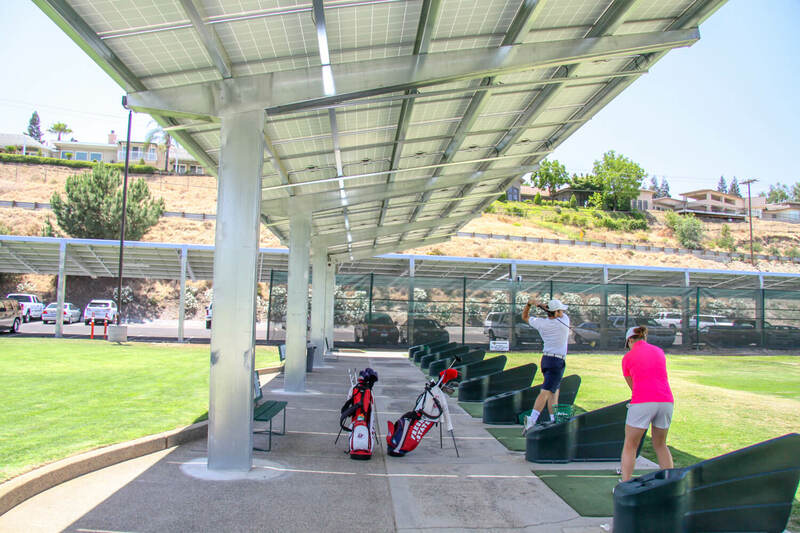 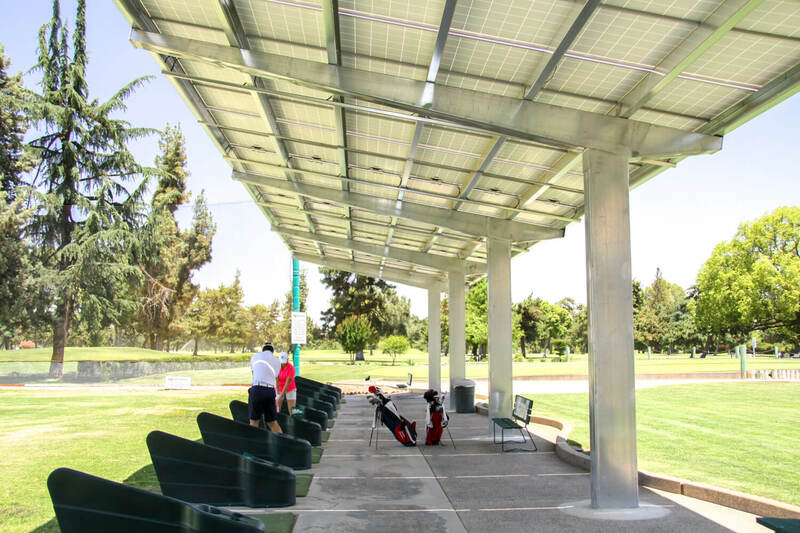 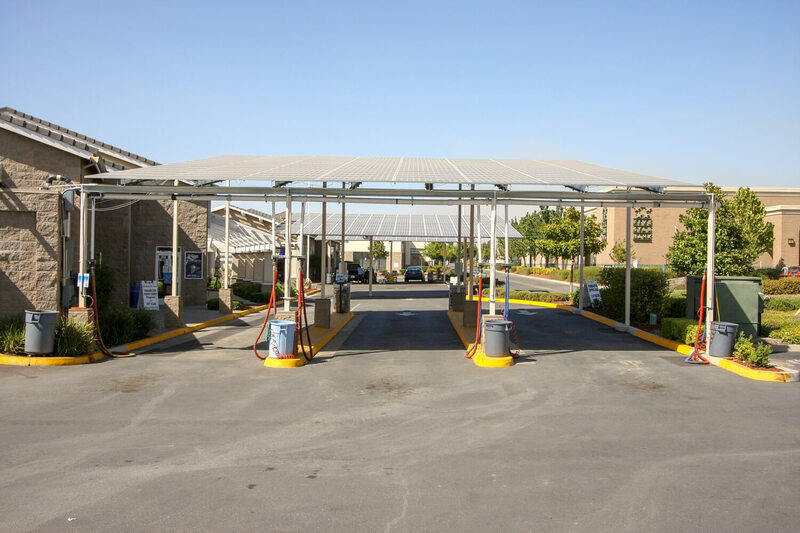 Our solar carports offer a wealth of benefits for businesses, developers, and property managers who are looking for renewable energy, cost-effective ways to park, store and shelter multiple vehicles. 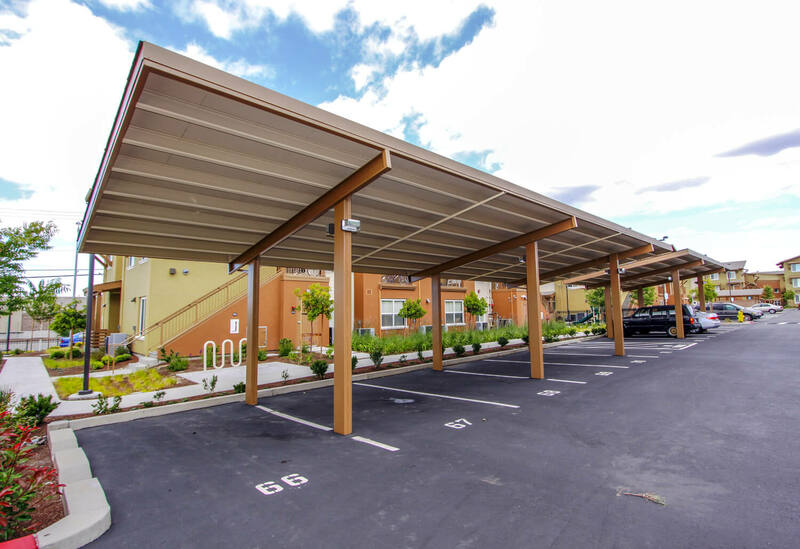 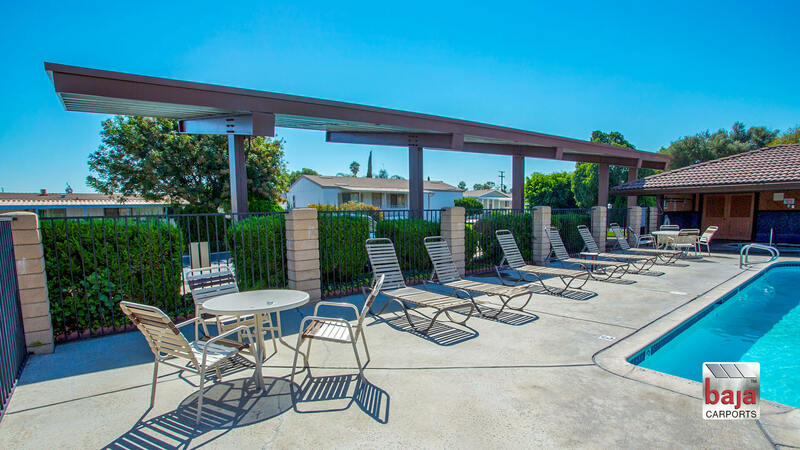 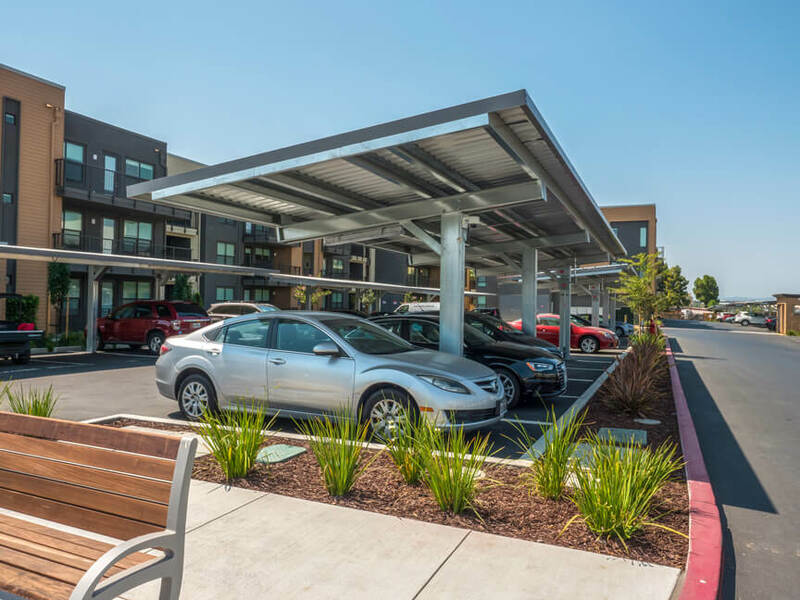 Whether the carport project is large or small or on an existing lot of a hospital, shopping plaza, in an office complex, or at multifamily or affordable housing property or is new construction, its size doesn’t matter! 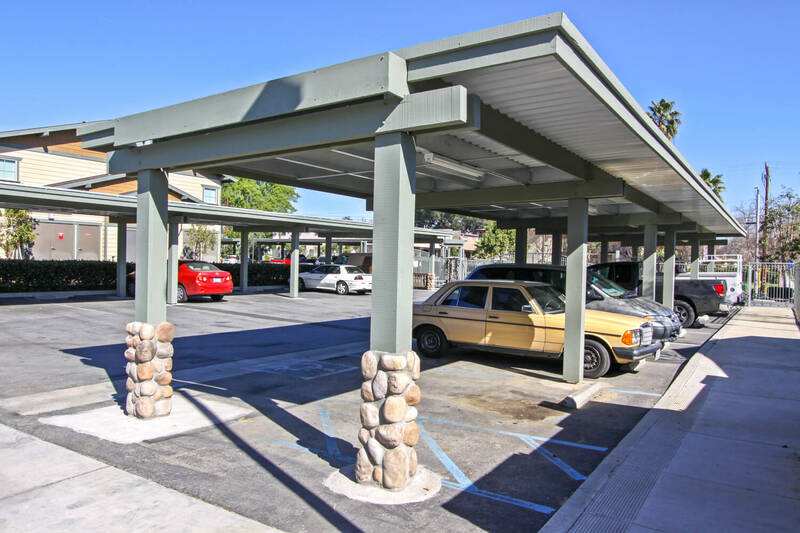 We cover parking areas for mobile home communities, churches, stadiums, schools and college campuses, and RV & boat storage facilities. 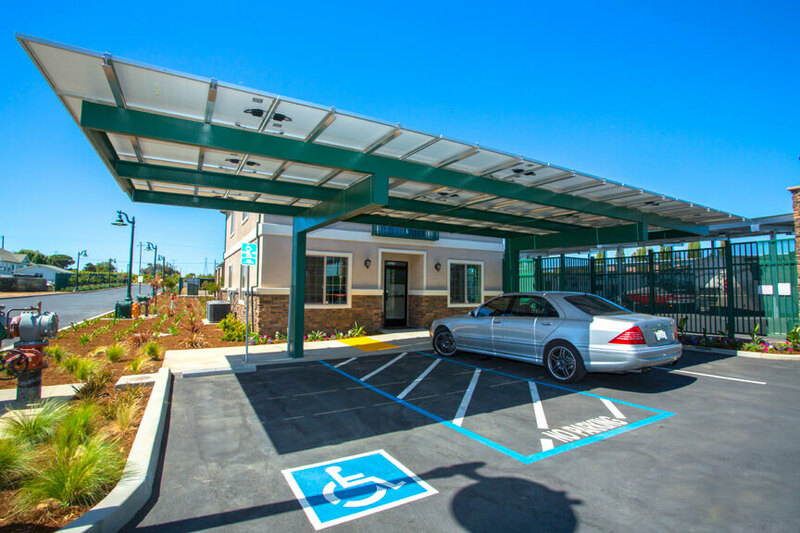 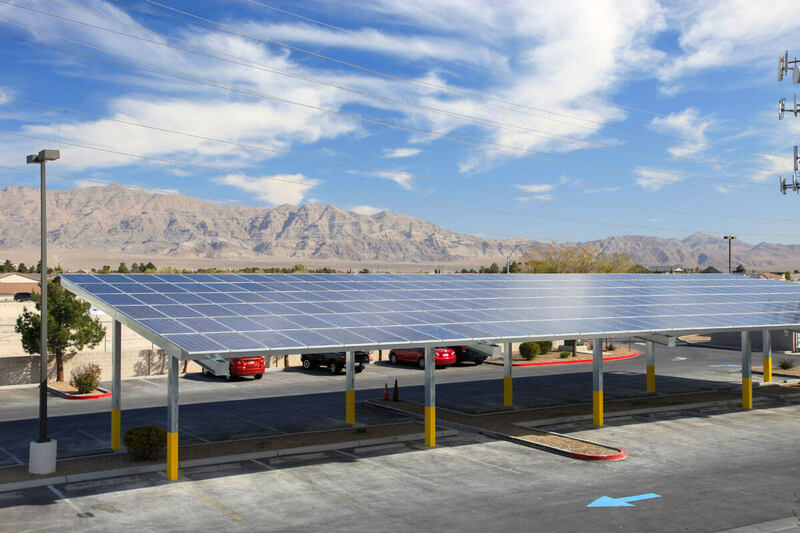 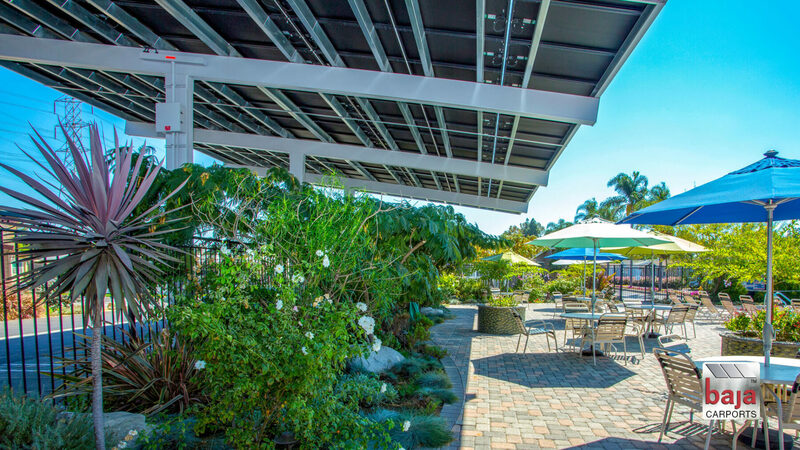 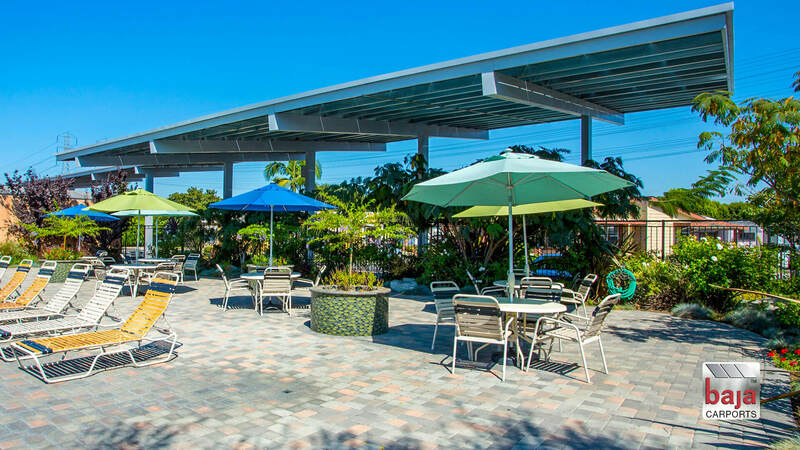 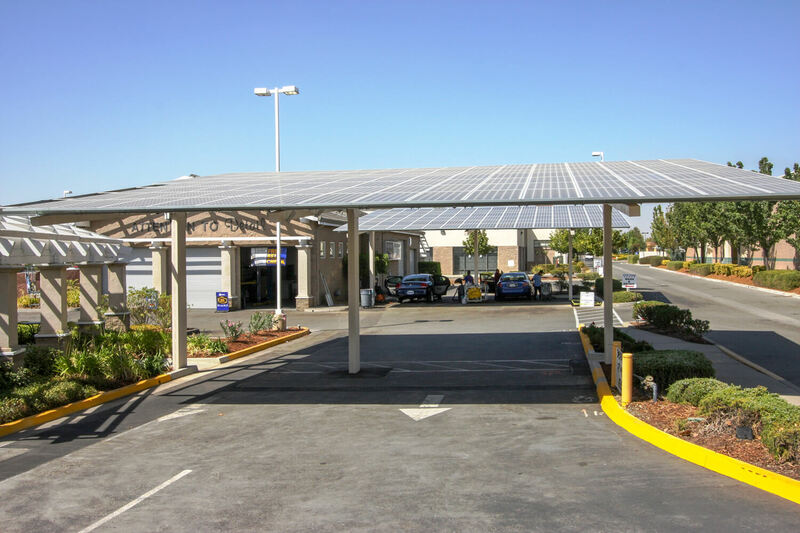 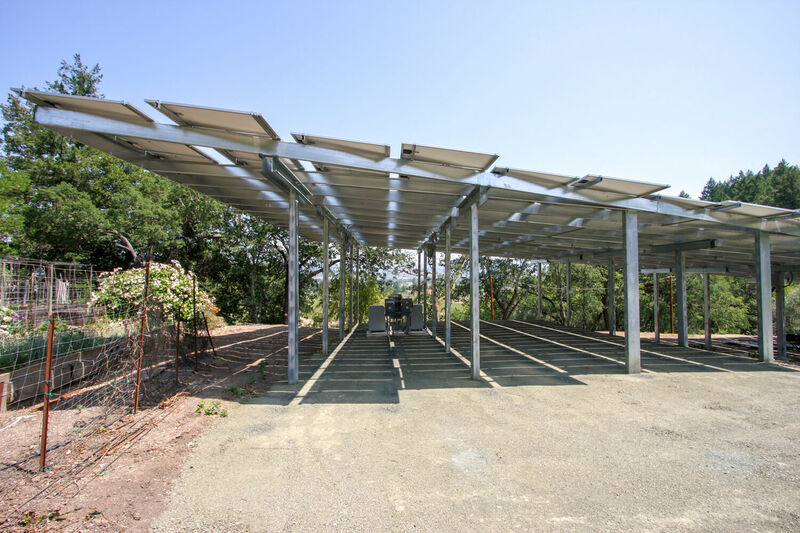 With a Baja carport solar support system, you don’t just have the ability to generate electricity cleanly and inexpensively for your business, you also have access to innovative, beautiful, robust parking lots for your employees, guest and clients. 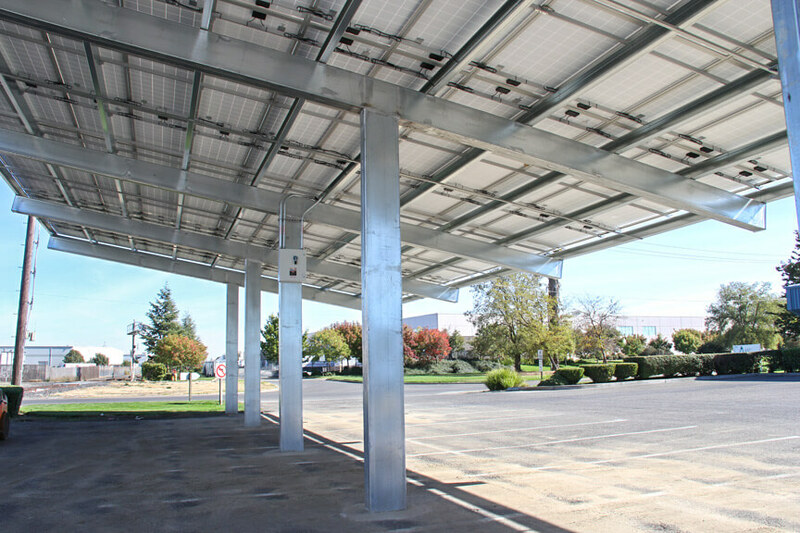 Our most popular solar support systems are offered in dozens of pre-fabricated bolted connections; full cantilevers, semi, single post back to back, double post, and braced single post solar carports with no field welding. 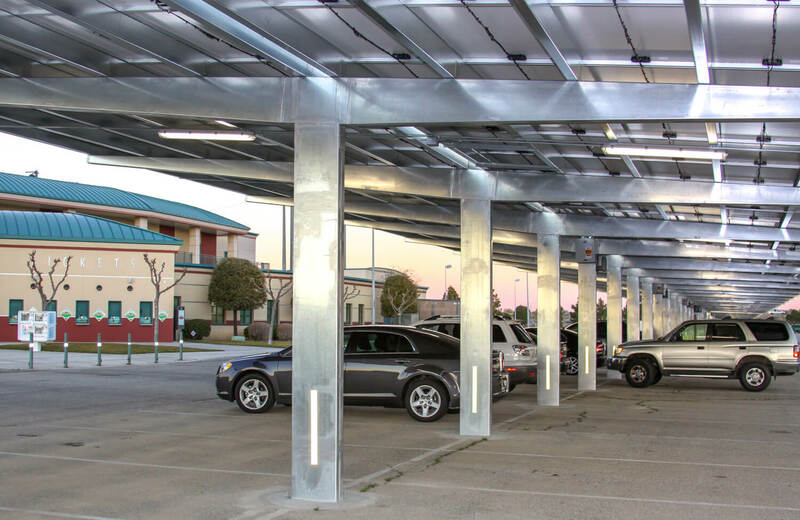 Which means no weld inspections; making for fast on-site assembly on any property condition; inclines to parking areas with intricate hardscape. 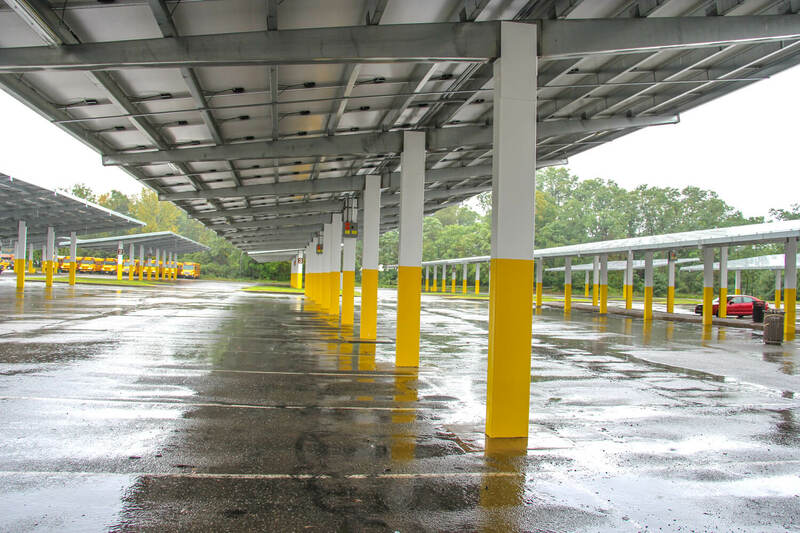 We have a diverse customer-base, and for this reason we also offer welded connection solar support systems; columns to post configurations suitable for industrial and manufacturing parking lots with a high volume of delivery trucks, tractor trailers and field equipment vehicles. 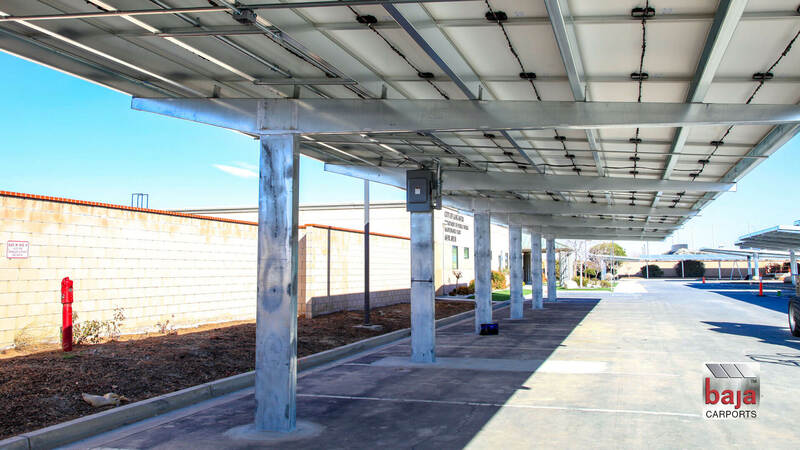 All designs are in strict compliance with the ASTM standards, using galvanized cold-rolled light-gauge, high tensile-steel framing and components. 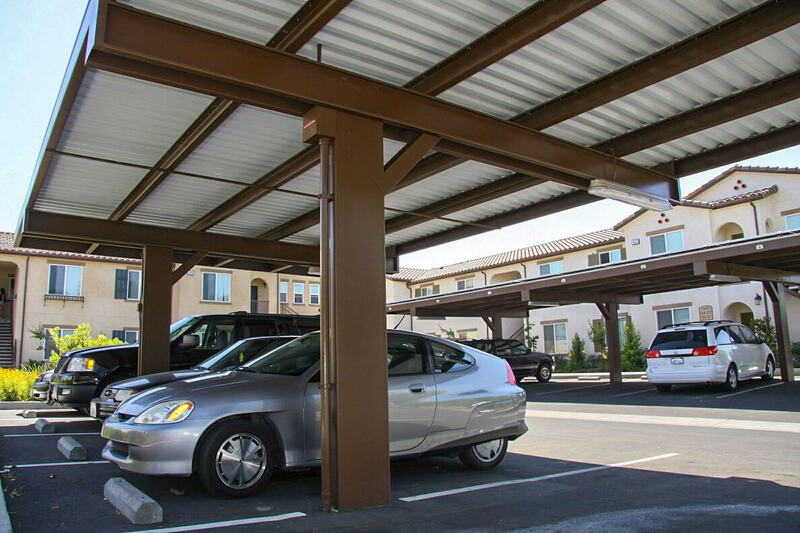 [Structural steel is available upon request, carport function, and project practically]. 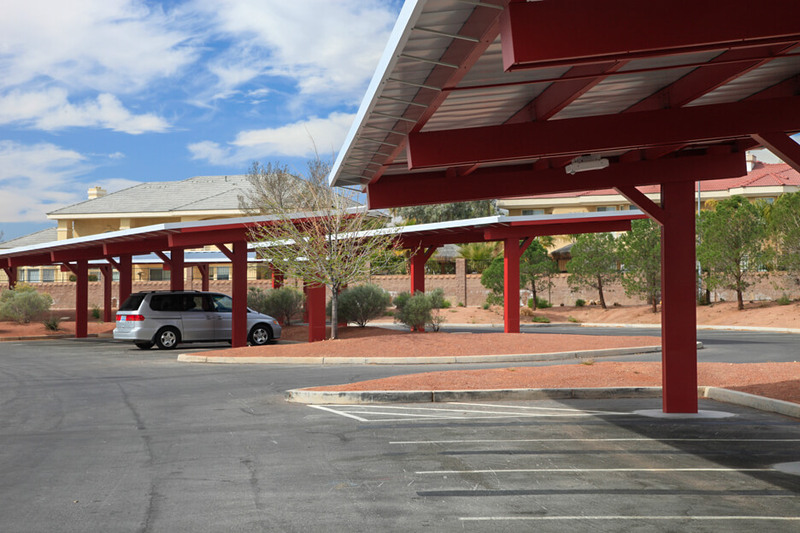 To meet the aesthetics of the surrounding buildings, we can paint on-site. 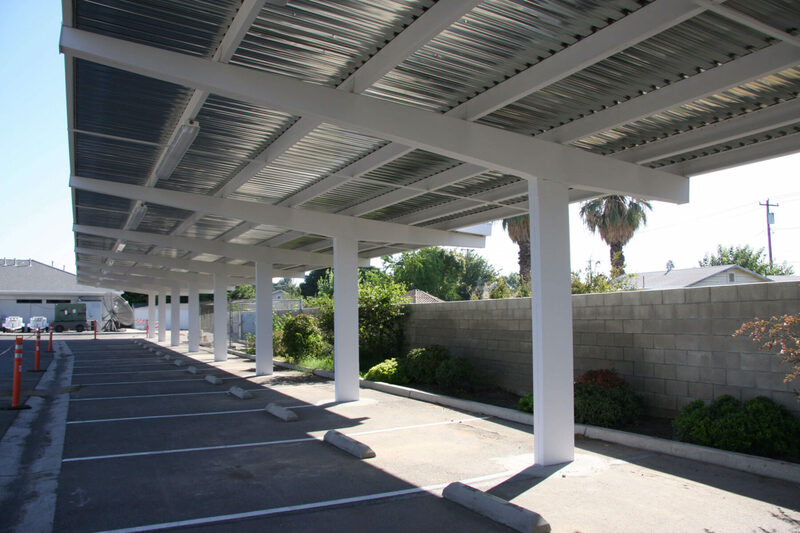 If you’re interested in a PV carport system designed and engineered solely for your property, call Baja today (800) 366-9600. 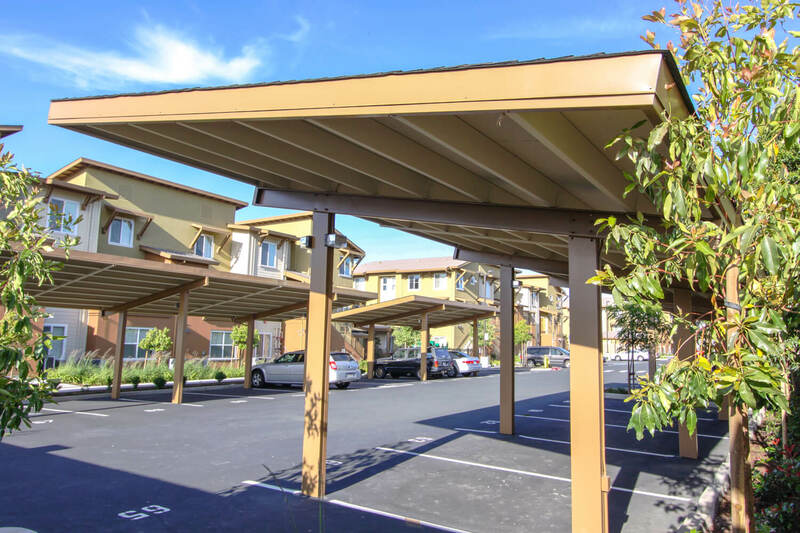 If you have a preliminary design layout, please have it available to email to us. 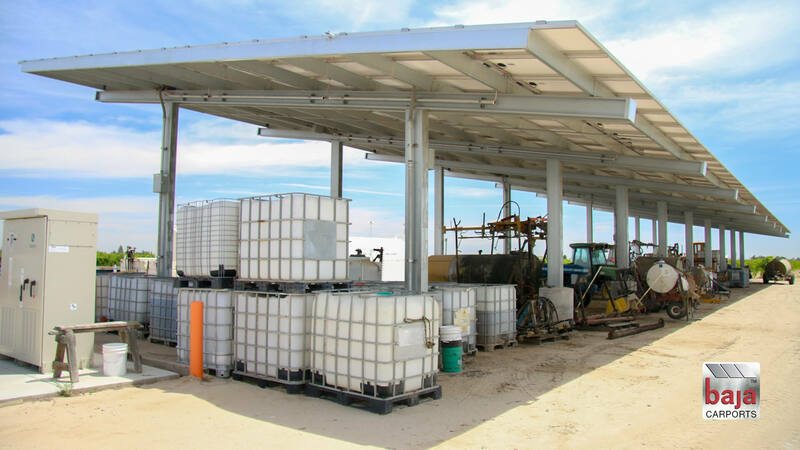 Though it’s not necessary, it is helpful to start a conversation. 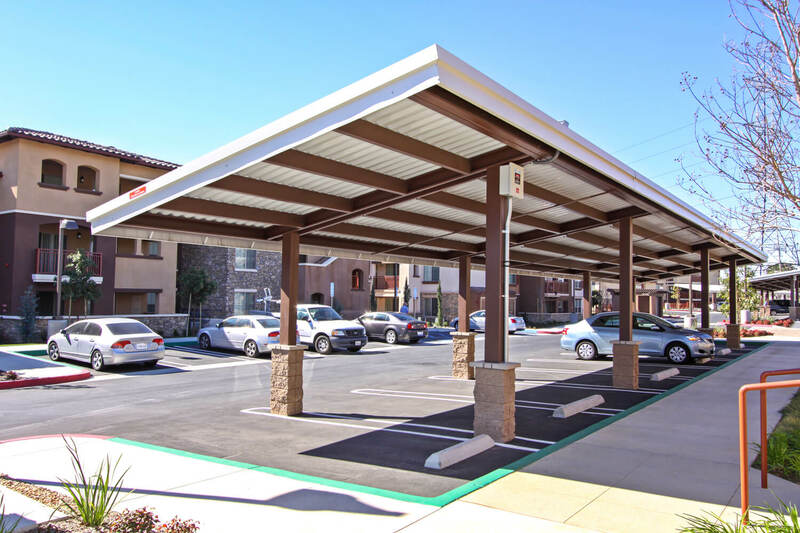 Our goal is always to know more than we need to about your property’s parking lot: it’s entries, exits, foot-traffic, ADA requirements, fire-lanes, loading dock locations, dumpsters, water run-off, etc., Baja’s expertise in parking lot design can lead to a more effective array system(s) as well as driver and pedestrian safety.